When Ubuntu Linux and Windows are used together and if the time zone is not UTC and when the computer is rebooted into Windows after Ubuntu Linux is used the time gets changed as the BIOS clock gets reset to UTC. 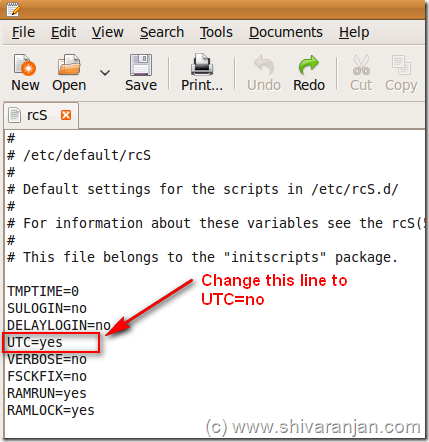 For example if the time zone that is set in Ubuntu Linux is GMT +5.30 hrs then after Ubuntu Linux’s usage the time in BIOS clock would be set to UTC time i.e. the BIOS clock would be +5.30 hrs behind the Ubuntu Linux’s time but if you boot into Ubuntu Linux it will automatically adjust to the local time where as the time on Windows will be the UTC time which can cause issues with Windows. 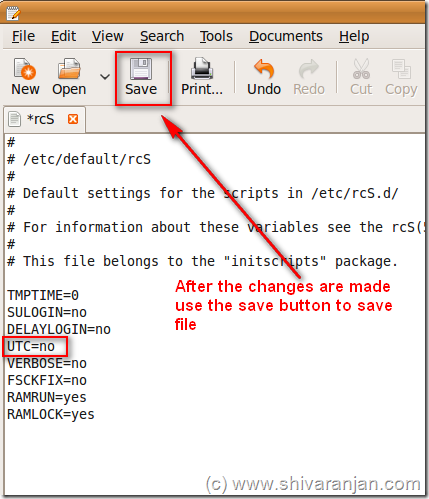 In the following steps you can find the steps to set the hardware clock as local time in Ubuntu. After you make the changes save the data using the save button. That’s it now the Ubuntu Linux will treat the hardware or BIOS clock as the local time and the alternate boots between Windows & Ubuntu Linux should not cause issues with time.